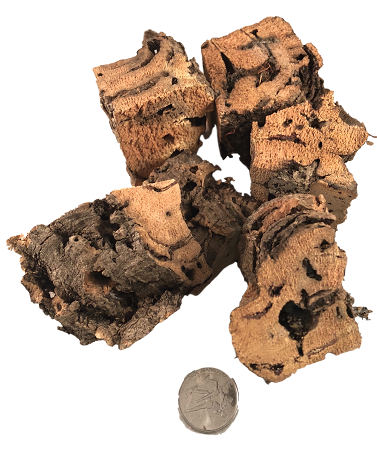 These HUNKY cork bark pieces measure between 1.5 and 2.5" x 2" or even bigger and are at least 1/2 but might be over 1.5" thick. Each piece chosen at random. The more you order, the bigger variety you will receive! Choose drilled or undrilled. Great as a footer or string up for a different kind of experience! 1 HUNKY per package. All natural, undyed.